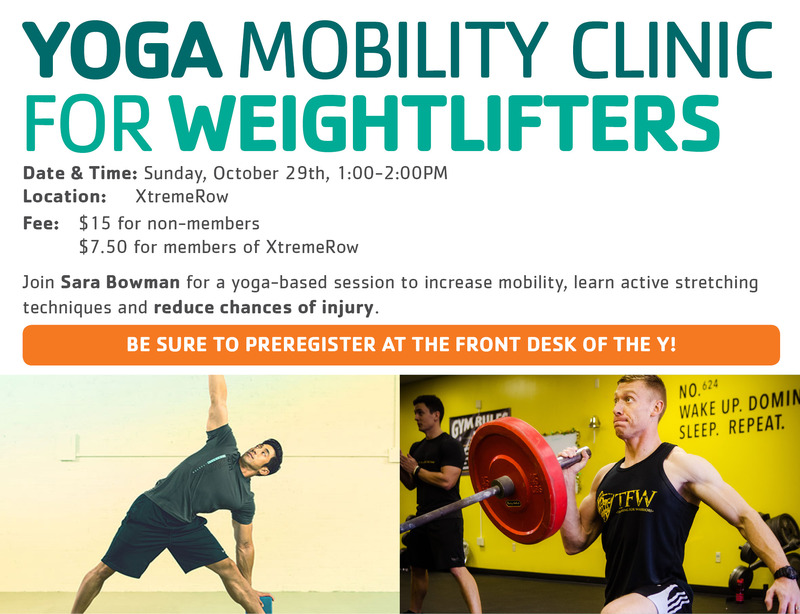 Join Sara Bowman for a yoga-based session to increase mobility, learn active stretching techniques and reduce chances of injury! Repetitive lifting patterns leave you stiff or sore, vulnerable to injuries and reduce range of motion over time. Cross training and recovery with yoga is a must. This session has been created with a weightlifter’s special needs in mind. This is NOT an hour of torturously slow stretching, but of active stretching, alignment, and mobility for strong but tight muscles, so you can increase or maintain your range of motion and feel better in and out of the gym. To learn more, visit our event page! Be sure to register in advance at the YMCA front desk!